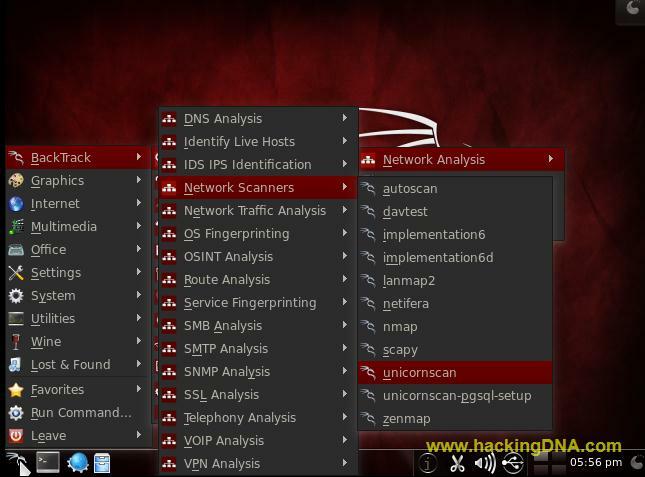 Unicornscan is a great network scanner tool . It is a scalable port scanner . Remember : UniformScan must be run as root . Unicornscan -h command help you to open help screen . At first time when you run UNICORNSCAN , you will get GeoIP.dat error . See the below image to see the GeoIP.dat error . To fix this error , you have to copy the GeoIP.dat error from /usr/share/GeoIP/ folder , to /usr/local/etc/unicornscan/ . So to solve this issue enter a small line of command given below. Where -mU : It stand for scan mode for UDP . -r200 : 200 packets per second. -I : stands for display result immediately on the screen . (160.10.170.112-119) on TCP ports 80 and 443. This is how we can used Unicornscan Tool . Its easy to run this tool . At the end you can review the results and can determine which attack you can performed against the target system . At the end this tool help you to enumerate the services running on a remote or target machine .